Is there someone on Twitter who you want to block or unfollow? Read this for directions on how to block someone on Twitter. Step 1: Click on the offender’s name. You can do this from your Twitter newsfeed or from your Followers page. Step 2: Hit the Gear Button. It’s right next to the ‘Follow’ button. 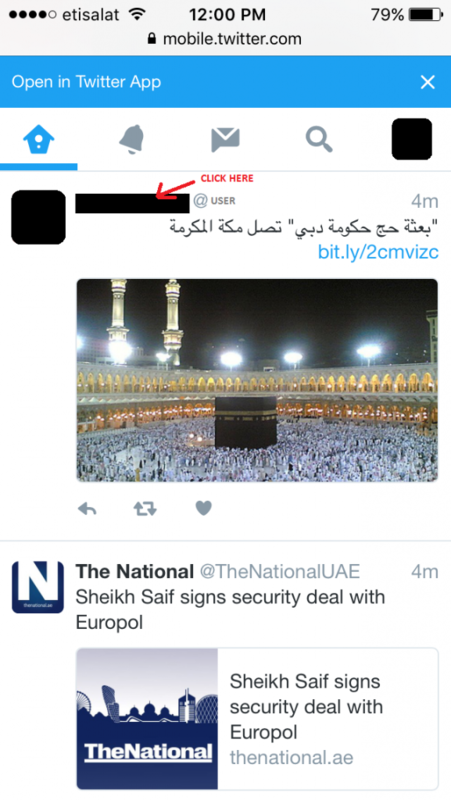 The offending person won’t be able to see your tweets on his or her timeline, nor will you be able to see theirs. They also won’t be able to follow you or add your account to their lists. Of course, if your Twitter profile is public, all someone has to do is look up your name and go to your profile to see your tweets, so be sure to lock your account if you want some privacy. Regret your decision? 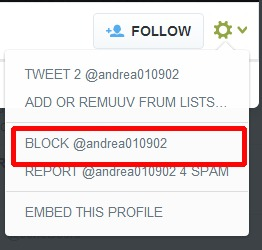 Just repeat step 1 and click the button that says ‘Blocked,’ and then hit Unblock. If you just want to stop seeing tweets from particular people but don’t want them to stop receiving your very important tweets, simply Unfollow them. This way you get to keep our follower-to-following ratio respectable. 1. Go to the Twitter user’s profile. 2. Hover over the blue ‘Following’ button. Remember, you can always re-follow someone later, but then they will know what you did. 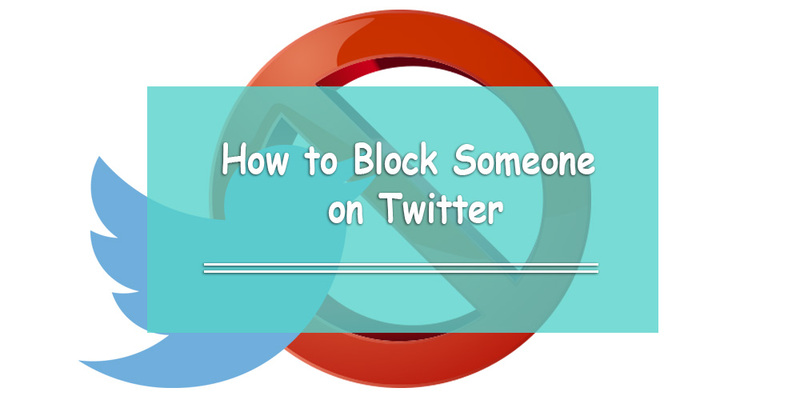 Want More Information on How to Block Someone on Twitter? Refer to Twitter Support. They provide more in-depth information and some important things to know about blocking and unfollowing a user. 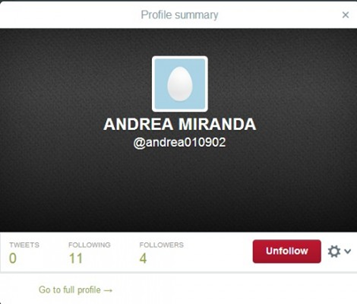 Hi, is it possible to block someone using his email address and not the Twitter account.